3. בֹּא רְאֵה, כָּל מִי שֶׁמִּשְׁתַּדֵּל בַּתּוֹרָה, מְקַיֵּם הָעוֹלָם וּמְקַיֵּם כָּל מַעֲשֶׂה וּמַעֲשֶׂה עַל תִּקּוּנוֹ כָּרָאוּי, וְאֵין לְךָ כָּל אֵיבָר וְאֵיבָר בָּאָדָם שֶׁאֵין כְּנֶגְדּוֹ בְּרִיָּה בָּעוֹלָם. שֶׁהֲרֵי כְּמוֹ שֶׁאָדָם נֶחֱלָק לְאֵיבָרִים, וְכֻלָּם עוֹמְדִים דְּרָגוֹת עַל דְּרָגוֹת מְתֻקָּנִים אֵלּוּ עַל אֵלּוּ וְכֻלָּם גּוּף אֶחָד – כָּךְ גַּם הָעוֹלָם, כָּל אוֹתָם בְּרִיּוֹת כֻּלָּם אֵיבָרִים אֵיבָרִים וְעוֹמְדִים אֵלּוּ עַל אֵלּוּ, וְכַאֲשֶׁר כֻּלָּם מְתֻקָּנִים – הִנֵּה גוּף [אֶחָד] מַמָּשׁ. וְהַכֹּל כְּמוֹ שֶׁהַתּוֹרָה. שֶׁהֲרֵי כָּל הַתּוֹרָה אֵיבָרִים וּפְרָקִים וְעוֹמְדִים אֵלּוּ עַל אֵלּוּ, וּכְשֶׁכֻּלָּם נִתְקָנִים – נַעֲשִׂים גּוּף אֶחָד. כֵּיוָן שֶׁדָּוִד הִסְתַּכֵּל בַּמַּעֲשֶׂה הַזֶּה, פָּתַח וְאָמַר, (תהלים קד) מָה רַבּוּ מַעֲשֶׂיךָ ה’ כֻּלָּם בְּחָכְמָה עָשִׂיתָ מָלְאָה הָאָרֶץ קִנְיָנֶךָ. 4. בַּתּוֹרָה כָּל הַסּוֹדוֹת עֶלְיוֹנִים חֲתוּמִים שֶׁלֹּא יְכוֹלִים לְהַשִּׂיג. בַּתּוֹרָה כָּל אוֹתָם דְּבָרִים עֶלְיוֹנִים שֶׁהִתְגַּלּוּ וְלֹא הִתְגַּלּוּ. בַּתּוֹרָה הֵם כָּל הַדְּבָרִים שֶׁלְּמַעְלָה וּלְמַטָּה. כָּל הַדְּבָרִים שֶׁל הָעוֹלָם הַזֶּה וְכָל הַדְּבָרִים שֶׁל הָעוֹלָם הַבָּא הֵם בַּתּוֹרָה, וְאֵין מִי שֶׁמַּשְׁגִּיחַ וּמַכִּיר אוֹתָם. וּמִשּׁוּם כָּךְ כָּתוּב (תהלים קו) מִי יְמַלֵּל גְּבוּרוֹת ה’ יַשְׁמִיעַ כָּל תְּהִלָּתוֹ. The Zohar tells us that every person that studies the Torah sustains the world. Every cell in the body has a connection to a different part of creation. To understand that we need to go back to the previous Zohar paragraphs that taught us that God created the world using the Torah. When we come to build a house we need an architect, a building plan and building blocks/elements. We can look at this from another point of view. If we see a building we know that it was made from building materials, there was a plan and someone who executed the plan. The Hebrew letters, existed before the actual process of Creation. The Book of Formation calls the Hebrew letters, ‘stones’ and the words, ‘arks’, ’chests’, which are vessels with ability to hold Light. The entire Torah is the plan/ drawing of the architect, who is God. Every letter connects to the root souls of many, giving them life and sustenance. Every Israelite connects with his body to all parts of creation. When we study the Torah we draw life energy to sustain our soul that holds the physical body. Like a lit candle, it radiates light that affects all the souls that connect to his soul. That is why the sages taught us that all Israelites are responsible for each other. Our souls are connected to each other beyond our capabilities of understanding. The letters of the Torah are vessel and visible in the physical level on the written parchment of the Torah scroll. Rabbi Avraham Azulai teaches us that the letters are channels of Light of Binah. The Nikkud, ‘vowels’, draw Light from Chokmah and the cantillation, which are the special tones used during the reading of the Torah, reveal Light from Keter. Therefore, the Torah reveals the Light of the upper three Sefirot. The precepts of the Torah draw great Light to the world. The sages tell us that those who study the precepts of the Torah every day bring peace to the world. 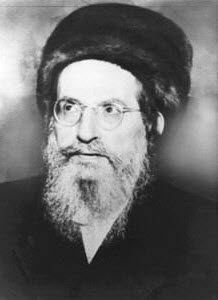 Rabbi Akiva, who was the teacher of Rabbi Shimon, said that he can teach ‘mountains’ of studies on every letter in the Torah. When we study the Torah through the Zohar we reveal great Light in the world. As the Zohar reveals in paragraph 2 (DZ 1668), man was created for this purpose. I will close with words from Rabbi Avraham Azulai whose his Hillula is today. Those who study the Torah, and especially in its secrets that is above all, adhere to the Tree of Life that is Tiferet, Central Column. The Shechinah sees his connection and ‘jumps’ on him so she can also connect to the Tree of Life. Those who study the Torah for riches have the Klipah weakened that binds them to the material desires. Even if they do not have 100% pure intention, they have some merit and opportunity to turn the selfish desires to positive and make higher spiritual connections.